Scotland offers an enchanting landscape of rugged coastline, brooding peaks, amber-coloured rivers, isolated lochs and windswept beaches, and this is the sort of scenery you can expect to find surrounding our Guru’s picks of the 10 Best Scottish Country Hotels. Our idea of the best Scottish country hotels are set in remote countryside, or by the sea, are all perfect for escaping the hustle and bustle of city life. Walking, fishing and golf are likely to be on your doorstep, and more vigorous activities, such as climbing, skiing and canoeing could be within a short drive. You might also find an abundance of wildlife for nature-lovers to enjoy. 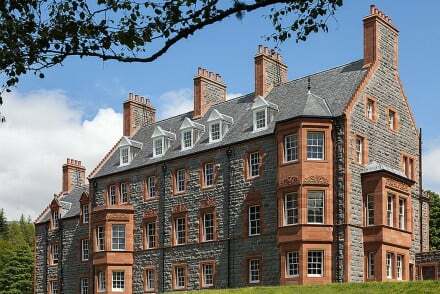 Take your pick from converted castles, mansion houses, hunting lodges, and estates, these are our top 10 best Scottish country hotels. 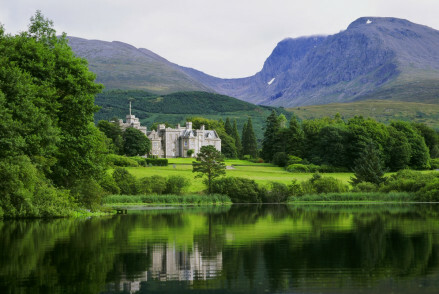 Inverlochy Castle is an elegantly converted castle offering excellent service and a Michelin starred restaurant at the foot of Ben Nevis. 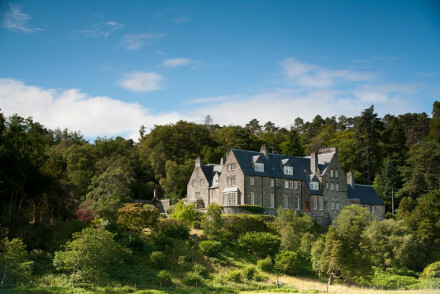 Also with a Michelin starred restaurant, and cooking school, Kinloch Lodge, on the Isle of Skye, is surrounded by stunning scenery and is just a short drive from Skye Bridge. 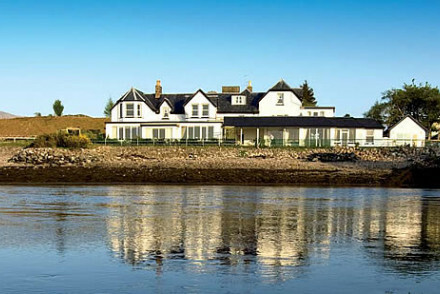 The Albannach Hotel also has a Michelin star, but this time its restaurant is attached to just a five room hotel, the epitome of style and luxury, in the middle of nowhere. 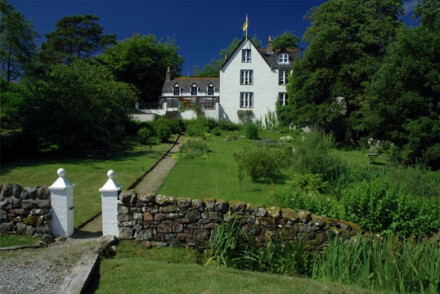 Or try Arisaig House, a Victorian country house turned B&B amid 19 acres of beautiful grounds and Highland views, or Pool House a perfectly remotely located, seven room guesthouse with expansive Highland views. 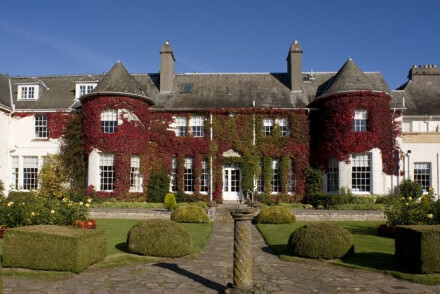 The Cavens Hotel offers sweeping views of the Solway Firth and a down-to-earth atmosphere that’s more home than hotel - if your home was surrounded by 20 acres of beautiful woodland grounds. 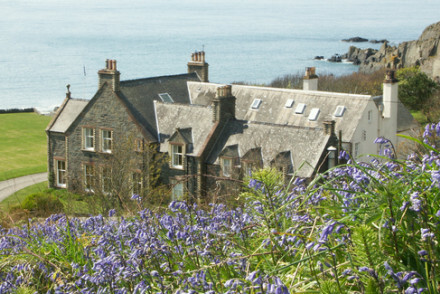 Or you might consider Rufflets, which is a 24 room sanctuary of nice food and homely comforts just a few minutes from St. Andrews. 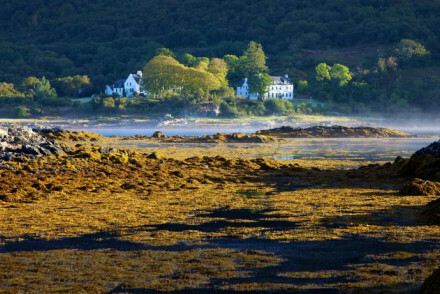 Knockinaam Lodge was once a hunting lodge grand enough to play host to Churchill and Eisenhower, with pristine views of the coastline, exceptional fishing opportunities, 38 acres of private land, a Michelin starred restaurant and just nine bedrooms. 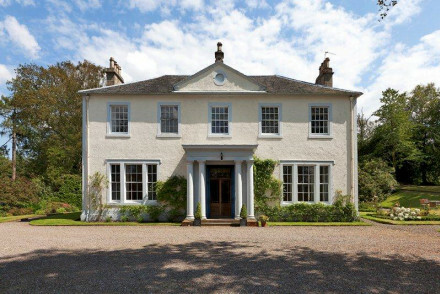 Quarter, Stirlingshire is a stunning Georgian house set amidst 60 acres of parkland, with just three ensuite B&B rooms but a very, very warm welcome and lovely, personalised service. 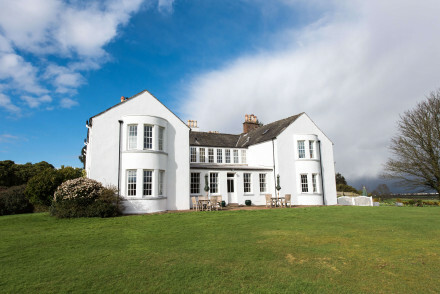 Or, for something a bit grander, try Glencoe House, a handsome country house with seven rooms, set amongst ravishing Highland scenery overlooking Loch Leven, with open fires, elegant suites and plenty to do!